The winners of this year’s Swiss Ambassdor’s Award were duo Viviane Chassot and David Pia with an unusual combination of instruments, the accordion and the cello. Both musicians graduated in Switzerland, currently work with eminent conductors and are frequent guests at international festivals. 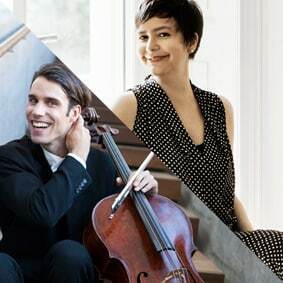 Their exclusive programme includes the world premières of several pieces written for the duo by Swiss composer Helena Winkelman, ensuring this concert is a highlight of his year’s classical programme.